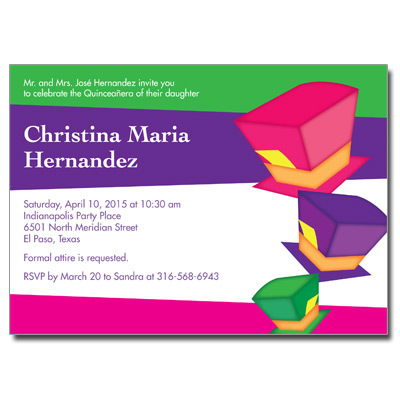 Your guests will think you have gone mad when they see this vibrantly colored Mad Hatter theme invitation. This Quinceanera design features a palette of bright pink, purple, green and white accented by three stylized hats, with your daughter's name printed in white and event information in purple. Card measures 7x5.